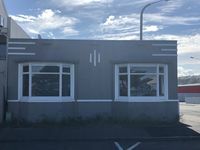 Property 16: Ahuriri Townhouse modern and spacious ,free wifi. Property 18: Historic Colenso Cottage - heritage listed. A special piece of NZ history. Property 23: Comfortable, clean, sunny and full of character. Property 34: Private en-suite studio in the art deco capital! Property 35: Beautiful seaside accommodation. Property 42: Quiet and secluded cottage of modern construction. Lovely house in excellent location. Responsive and flexible hosts, spacious and clean house. Highly recommend.